Business in Gulf? Abu Dhabi? Dubai? … forget them. It is now Bahrain. 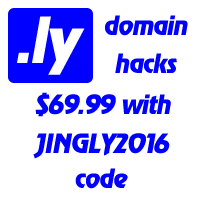 Jing.ly names are on the rise, with over 7,000 domains been registered so far. Libyan Spider Network alone, one of the biggest registrars, has sold near.ly 4,500 .ly domains.